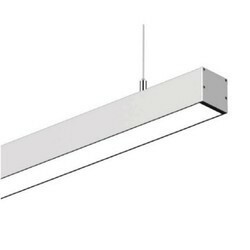 We offer large variety of high quality & premium finish Linear LED Lights. 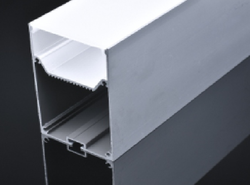 Our Range Includes Surface, Hanging & Concealed profiles to match varied requirement of our versatile clients. The profiles are sold empty as well as complete with LED & Driver. Conceal Aluminium Led Profile available is 5mm & 15mm depth. Suitable for residential, commercial, architectural and indirect lighting. W50x70mm Hanging led profiles with inbuilt driver compartment. Suitable for upto 48W. 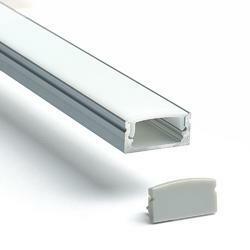 17mm trimless Aluminium profile for led strips. Suitable for indoor, residential, hotels, restaurants and commercial lighting. We are actively engaged in offering premium quality Corner Profile for Staircase Edge Lighting that is offered in variety specifications. Designed and manufactured with the help of latest technology at our vendors advanced manufacturing unit, this profile is designed in conformity with set market standards for ensuring its flawlessness. Moreover, clients can avail the entire range of profile at affordable prices within stipulated time frame. 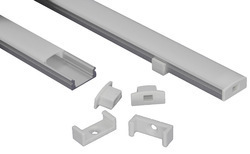 13mm Slim model Surface / Conceal trimless Led profiles for cove lighting, architectural lighting & Decorative lighting. 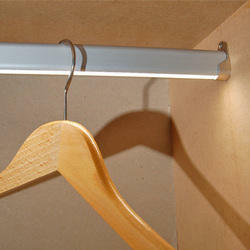 LED Profiles for wardobe hangers. Available in 2meters lenght. Can be cut as per customer's requirement. 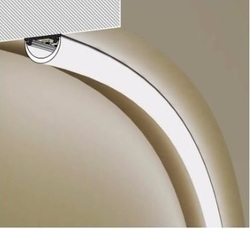 Aluminium Bendable Profile for curved areas, ceilings, furnitures etc. 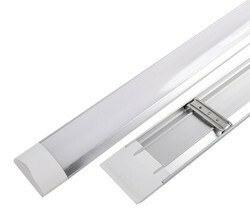 Looking for LED Linear Lights ?